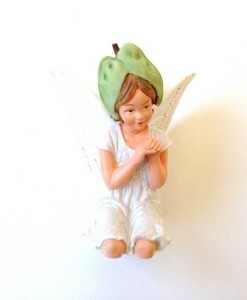 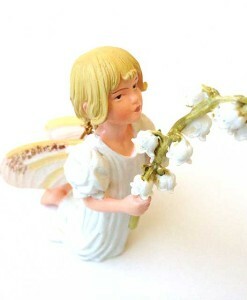 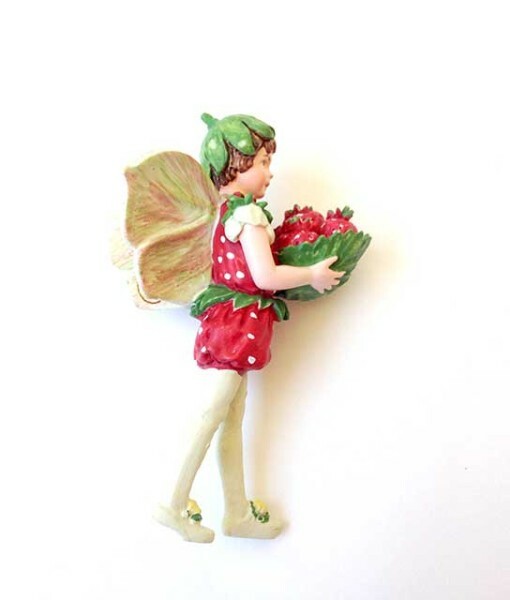 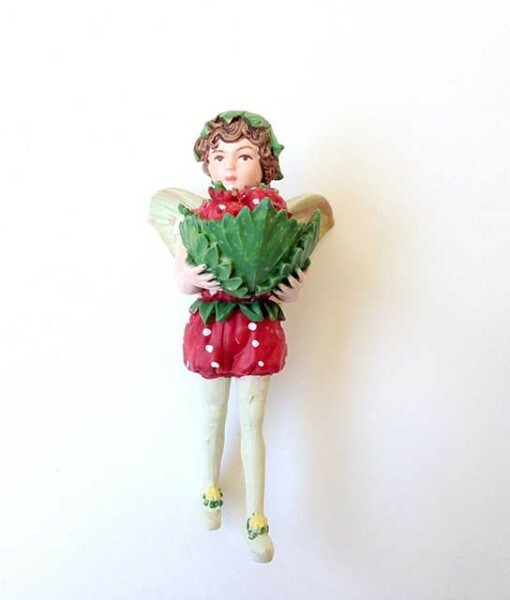 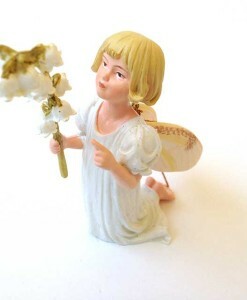 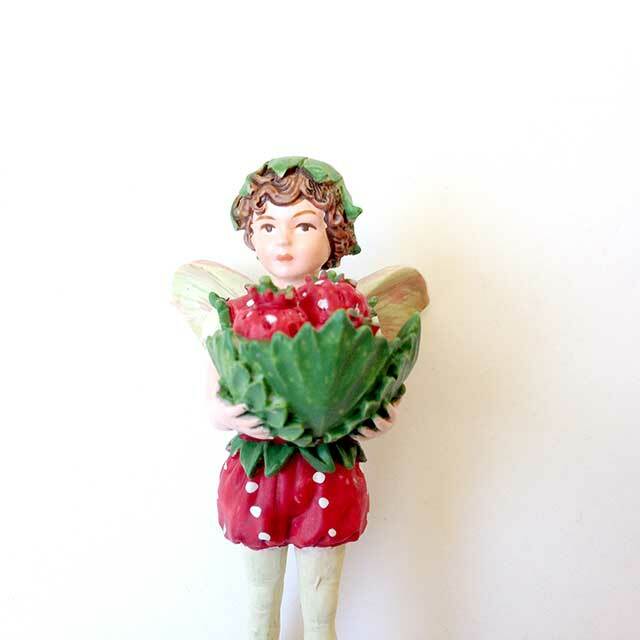 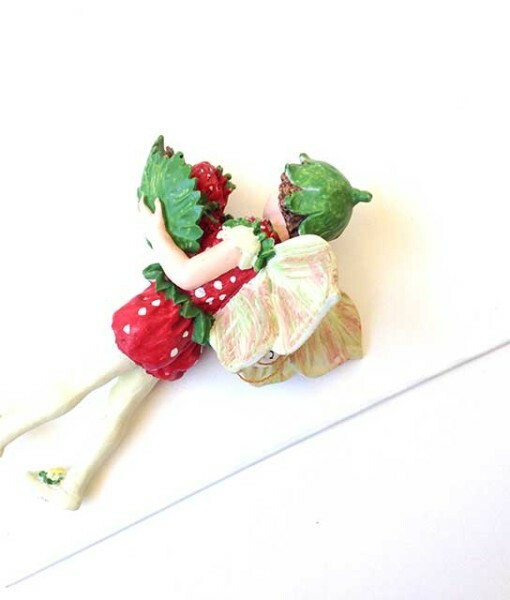 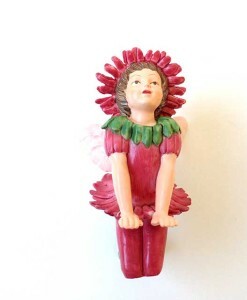 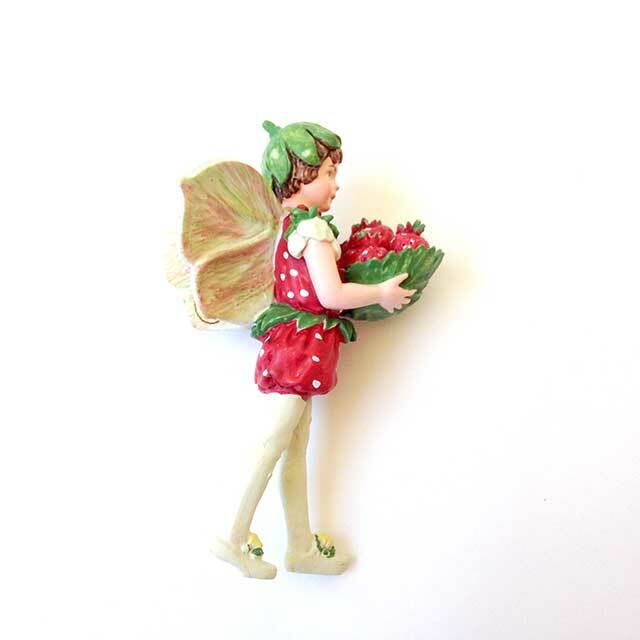 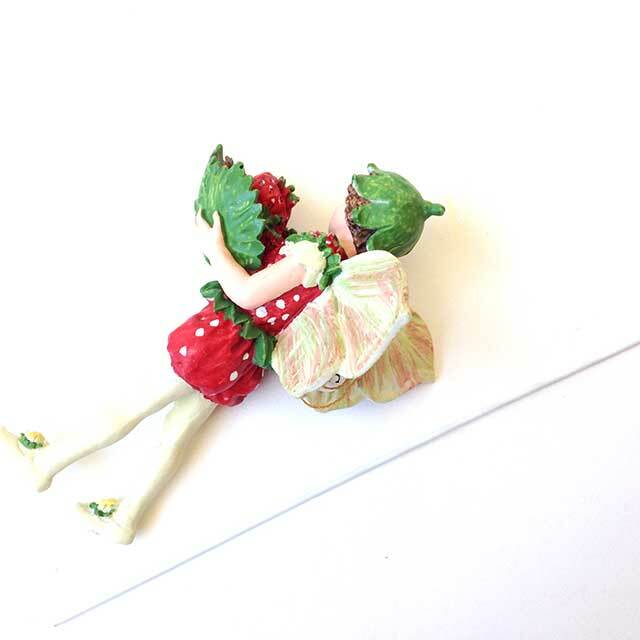 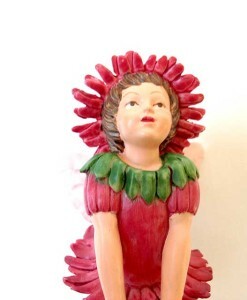 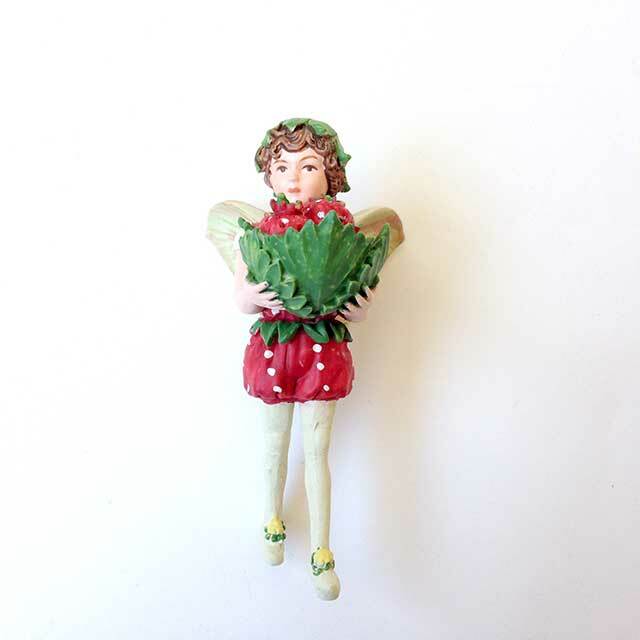 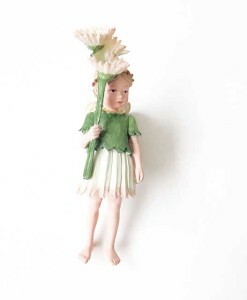 This sweet summertime Strawberry fairy figurine is ready to roll for a summer fairy party with a basket full of fruit. 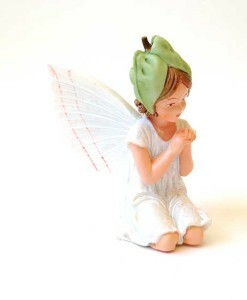 Inspired by Cicely Mary Barker’s 1920s art. 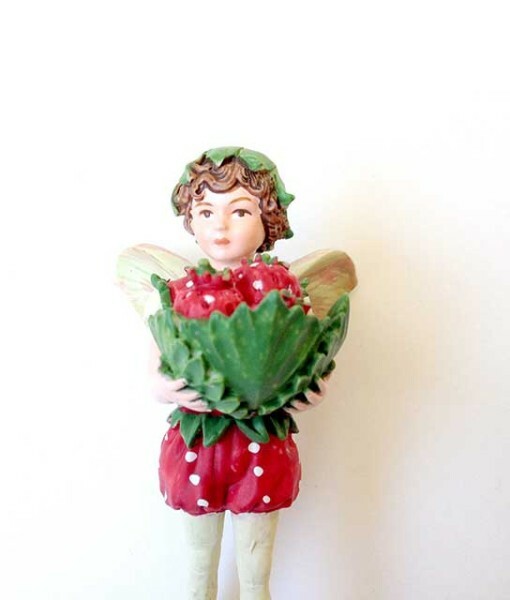 Dimensions: 3 3/4″ tall, 1 15/16″ wide, 2 3/8″ deep.